Fits over components with 100mm o.d. round spigots. Ideal for installation within a cavity wall. Round internal connection is 100mm i.d. 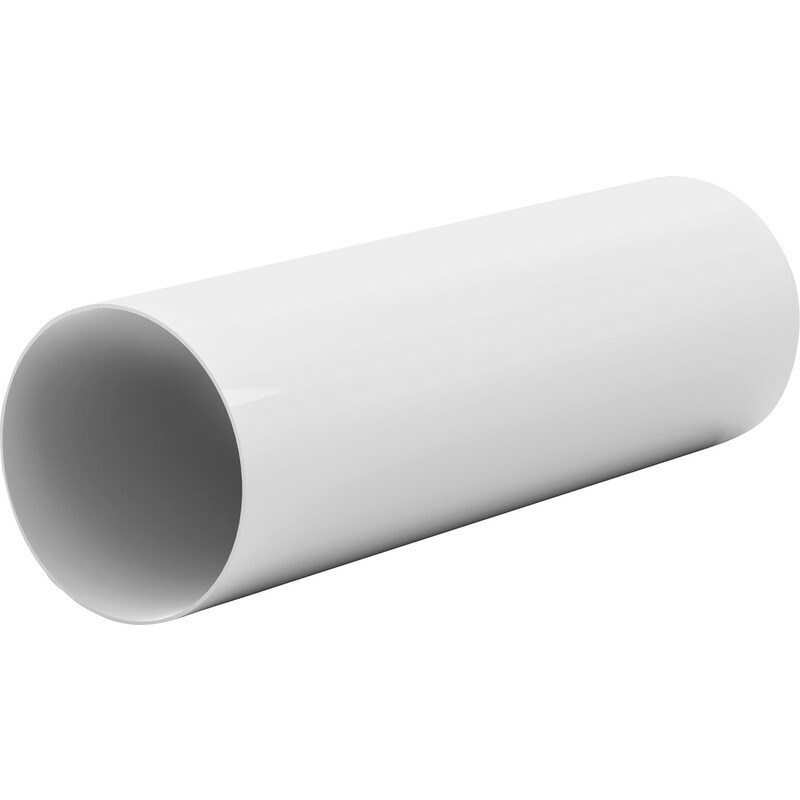 100 Round Pipe 100mm x 350mm is rated 4.7 out of 5 by 6. Rated 5 out of 5 by Beaminster Handyman from Just right for the job Very cost effective, easy to cut. Rated 5 out of 5 by bejay60 from Good value Perfect size at a very good price. Rated 5 out of 5 by Jwec from Good quality I find using the solid ducting gives a more satisfying finish. Easy to cut straight with chopsaw. Rated 5 out of 5 by Octavia from Good As described GVFM, why do I have to write more?? Rated 4 out of 5 by Janicemc from Duct pipe Bought this for use when I fitted a hob, good value for money.